"Dan Gerdes and his team were responsible for the build out of my 2700 square foot dental office in the heart of Sarasota, Florida......His positive attitude and diligence helped me overcome several hurdles in our project. From dealing with city hall for permits to the final certificate of occupancy he was timely and efficient......Mr. Gerdes is particularly knowledgeable when it comes to dental and medical office construction. It was easy to communicate with him. He understands the nuances of this type of construction that has such heavy requirements in plumbing, electrical and IT. He brought in excellent subcontractors..........a dental office should be renovated every 15 years, and there are many in the Sarasota area that are overdue. I would highly recommend that you consider Gerdes Construction for your next update or new construction." 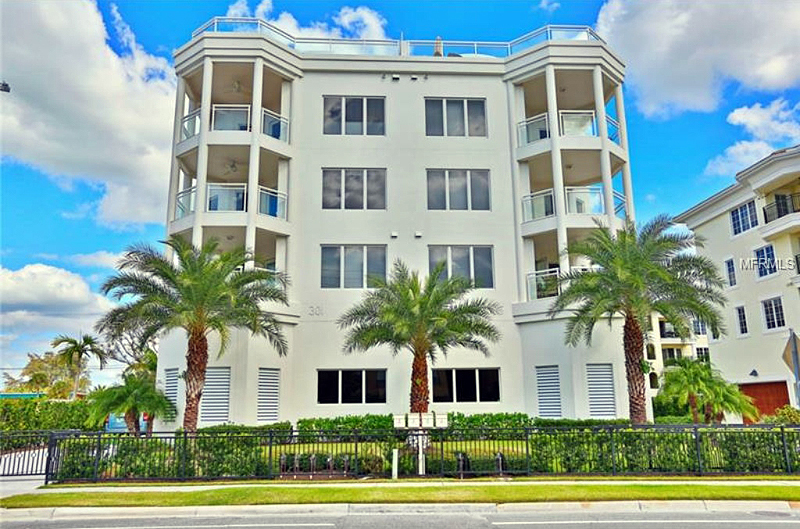 "Leslie and I continue to get numerous complements about our condo and people are always asking about the finer touches and details that are organic to the construction and design. At every stage of the project you and your team (without exception) not only actively participated in serving up ideas and suggestions to enhance the end product but also brought a strong “budget and value lens” to the project." "Dan Gerdes has been professional and accommodating during the construction process. From the first phone call to final inspection, he was attentive and responsive to every detail. It speaks volumes that he is so highly respected by his peers for not only the quality of his work but also the work timeline flow he establishes....."
"The construction of our building was a huge undertaking, requiring demolition of 2 existing buildings, permitting and compliance with all sorts of extremely difficult municipal, county and state agencies, and construction of what is now six custom homes housed within a single structure. Dan was on task, informed, connected and personal throughout the process. His work product speaks for itself, this is a top notch property with every detail tended to. His contractors were professional and talented, and his site supervisor was extremely attentive with great follow through....."
"This letter is a letter of recommendation filled with nothing but the very best of praise regarding the beginning to end process along with my association with your company in building my new office at Lakewood Ranch........... I can highly recommend you and have highly recommended you and will highly recommend you to anyone considering building with your company. Above all, even after the punch items were finished, you corrected a few more items that were not on the punch list to make sure that I was happy..............Thank you Dan and thank you to all of your tremendous team for helping me to build the practice of my dreams. My team and I are forever indebted. You are simply the best!" "Throughout the process, the Gerdes Construction team professionally addressed several difficult issues. They assisted and advised in the design process, helped to procure the necessary plans and permits, coordinated seamlessly with our outside vendors, and surmounted numerous issues encountered with the building management. Dan successfully met the challenge of working from afar with us as a former New Jersey company by regularly updating DGU on the progress of the space. Gerdes Construction delivered a completed space on time and under budget that hasfarexceeded our expectations....."
"In my capacity as Executive Director for the Siesta Key Chamber of Commerce, I wish to write this letter in strong reccommendation of Dan Gerdes as a general contractor......"
"....we can recommend Gerdes Construction without hesitation. Dan is a pleasure to work with and the two projects that he did for us were on time and on budget. Need I say more?" "The results are impeccable. I applaud and highly recommend (the Gerdes Construction) team for projects large and small. I'm now living in the new millennium thanks to Gerdes Construction." "There is nothing else like it, unique and beautiful. Thank you!" "We would highly recommend Dan Gerdes of Gerdes Construction Inc. for any and all future construction projects, given our outstanding experience with Dan and his team." "Your detailed fact finding, deductive reasoning, and caring showed through in all our interactions. Fair play always works to the best interest for all concerned. Your efforts from beginning to the end demonstrated, without exception that fairness concern, desire, character, and integrity." "As a repeat customer, I am once again pleased with the condominium building you delivered. The quality of the construction is exceptional. The service you and your superintendent provided was collaborative, timely and thorough. All questions and issues were addressed quickly and to my satisfaction. In addition, your superintendent maintained a very clean and safe job site for all who contributed."